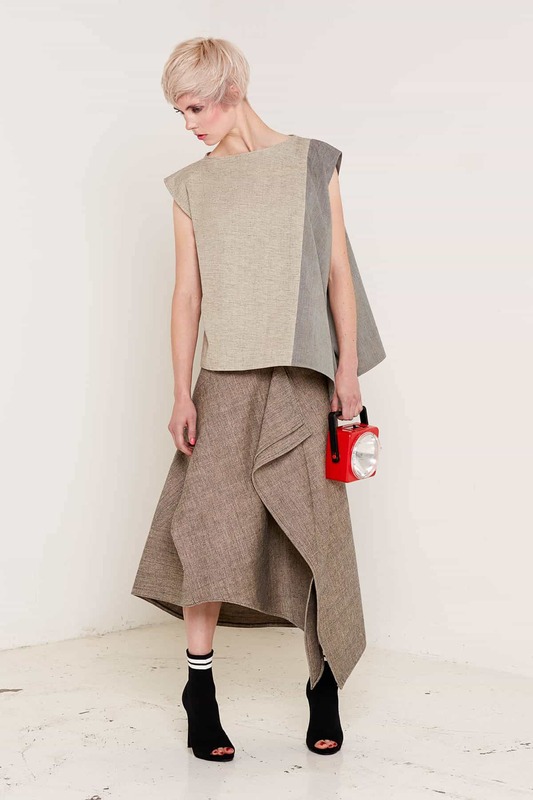 The beautiful shape of this skirt is created by the natural drape of the heavy, high-quality texweave fabric and thoughtful, delicate layering. Intricate stitching creates an interesting asymmetric outline, which is softened by the smooth, graceful folds of fabric around the front of the skirt. 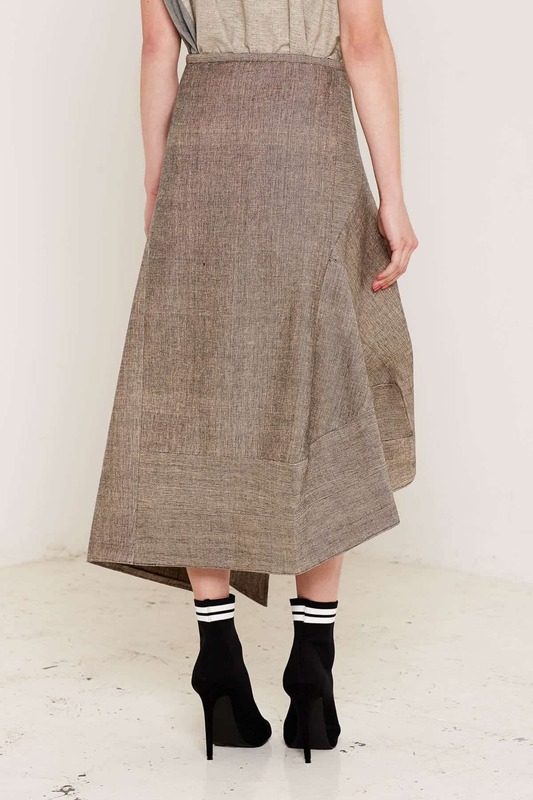 The Christina skirt comes in two equally versatile colour choices: a deep brown that looks wonderful paired with lighter colours, and a more neutral brown that brings out the complex texture of the texweave fabric. We are passionate about creating clothing that is sustainable as well as stylish. 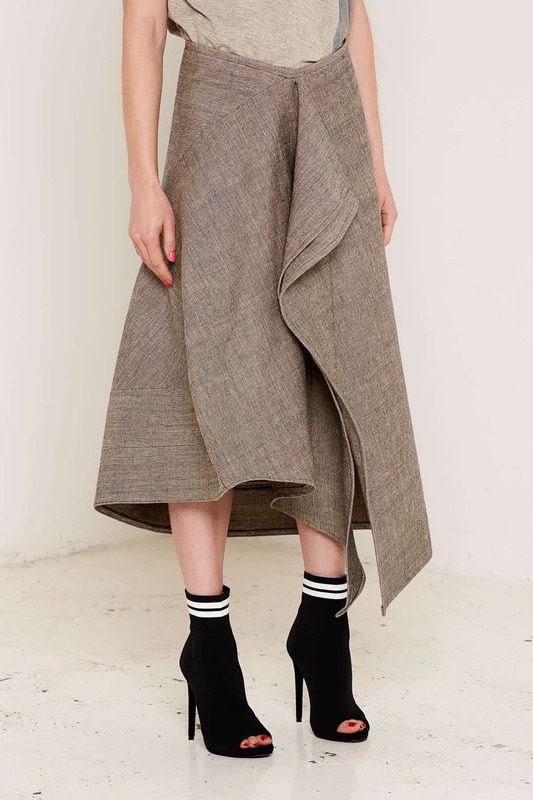 The skirt is vegan friendly, made with certified organic materials sourced from fair trade suppliers and made on small power looms in Kerala, India.